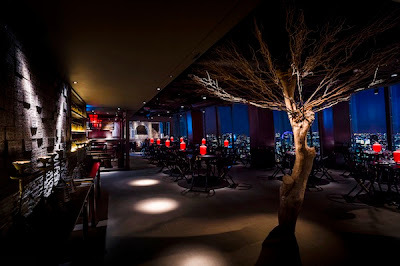 Cheval Calico House is 5 minutes away from The Shard. London has one of the most exciting restaurant scenes in the world right now. New restaurants are opening all the time and famous chefs have travelled to the capital to try their luck. London has it all. This is John Gregory-Smith’s guide to the best high-end asian cuisine restaurants in London. Step out of the lift and up the stairs to the 33rd floor of The Shard and into Hutong, which boasts panoramic views of the city through its floor to ceiling windows. The menu is classic Sichuan with other Northern Chinese dishes – The Peking duck is fantastic and the shredded chicken with Sichuan coriander and pepper dressing is tongue-numbingly good. This subterranean Michelin starred Indian restaurant is one of London’s finest. The interior at Tamarind is chic and simple but the food is sublime. The chaat, a classic street food dish, is fresh, hot and sour all at once and the lobster masala is finished off beautifully with fragrant peppercorns. Ask the sommelier to choose the wine to go with your dinner. Wine really can go with spicy food. Splendid Japanese food, served tapas style, at this simple Marylebone restaurant, where the emphasis is on the quality of the ingredients. Seabass carpaccio with truffle oil melts in the mouth with a heavenly rich after-taste and char grilled wagyu beef with chilli miso is a must at Dinings. Mango Tree is this bustling restaurant feels more like a modern European brassiere than a traditional Thai restaurant. The kor moo yang (BBQ pork) served with a zingy dipping sauce made from lime and fish sauce is a favourite and the penang curry with prawns is fabulous.